Candler Park contains a 2,064 yard golf course that has 9 holes with a par of 31. The above picture is of a sign for par 3. This specific sign is located along Candler Park Drive NE, directly across from The First Existentialist Congregation of Atlanta. This sign is dedicated to Steve Curl and Brother Dan. 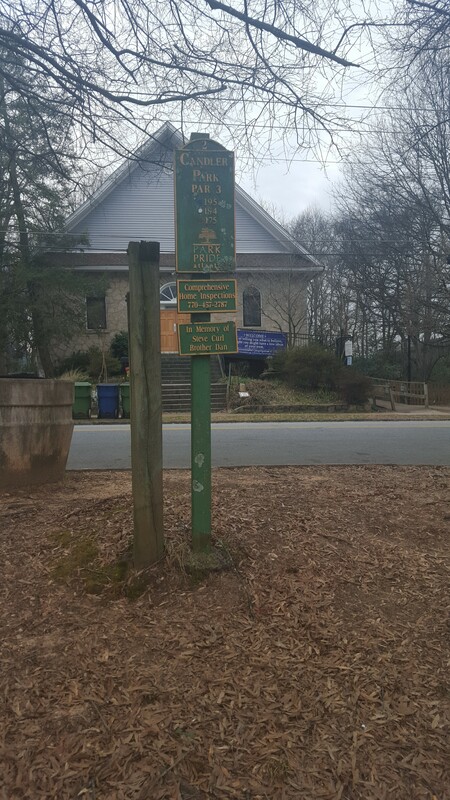 This entry was posted in Artifacts & Signage, Images and tagged Candler Park, Exterior by amason20. Bookmark the permalink.